To control Salmonella contamination in betel leaves and sesame seeds from India, the European Commission has published new legislation requiring consignments to be accompanied by the results of sampling and analysis and a health certificate. A CED will have to be submitted to Port Health to accompany these documents. The new legislation is Commission Implementing Regulation 2017/186 which amends Regulation (EC) No 669/2009 and repeals Regulation (EU) 2016/166 (relating to betel leaves). 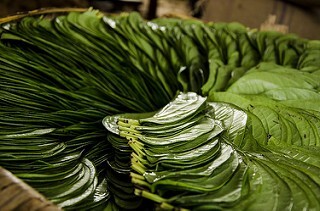 The legislation applies to betel leaves and sesame seeds where the originate in India. The legislation applies from the 23 February 2017. There is however a transitional provision which allows consignments shipped before the introduction of the legislation on 23rd February 2017 to be imported without a health certificate. All consignments that leave India after 23 February 2017 will require a health certificate. The health certificate must be signed and stamped with the competent authority of the country of dispatch. It is only valid for four months from the date of issue, and six months from the date of analysis. A consignment (lot code) must be placed on each individual package. The code will be used to identify the consignment and must cross reference with the health certificate and results of sampling and analysis. This will be checked by Port Health as part of our inspection when the consignment arrives. Port Health will conduct confirmatory testing on 20% of sesame seeds and 10% of betel leaves arriving in port. View an interactive map to identify other ports managed by Suffolk Coastal as well as sites where PHILIS is available.